Every day, we hear bad news. We hear about unimaginable devastation and poverty in developing countries, the mind-boggling pace of deforestation, and the plight of endangered animal and plant species across the globe. The problems are big. They are scary—and sometimes, even the thought of them is too overwhelming to deal with. So how can we possibly instill the necessary strength in each of our students to make them believe that they—as individuals—can make a difference? There is help. 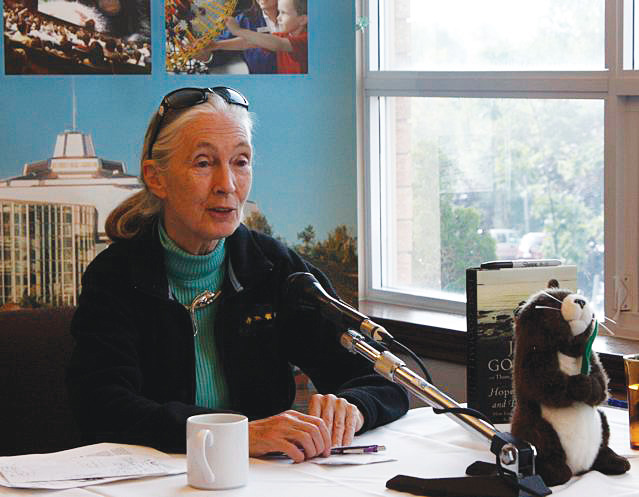 Through the Jane Goodall Institute (JGI), Dr. Goodall has created a youth action program called Roots & Shoots. The program is about positive change. Through it, youth are not only motivated to learn about the issues that face our local and global communities, but they are actually given the tools to design, lead, and implement their own projects to address those issues. The model for Jane Goodall’s Roots & Shoots incorporates Knowledge, Compassion and Action. The idea is that once you gain knowledge about a topic (local community needs, environmental issues), then you begin to care about it. It’s the caring—or compassion—that will lead to action. There are approximately 370 Roots & Shoots groups in Canada today, and about 70% of them are school-based. The model is flexible and encourages self-directed learning, so teachers are able to adapt it to their own curriculum needs. Generally, groups comprising students in elementary school participate through classroom activities, while those in high school tend to register as an extra-curricular club. Regardless of the age group, the stance of any project is one of hope—that a positive difference can be made. Teachers can register their groups or clubs simply by visiting the Roots & Shoots website and joining the program: (www.RootsandShoots.ca.) There is no fee to join Roots & Shoots, and registered members are given access to a wealth of information to inspire groups to take action and help them see their projects through to completion. The main Roots & Shoots toolkit for schools is downloadable, and it contains step-by-step information about how to pull a group together, when and how to meet (which is especially useful for clubs), and how to use the Roots & Shoots model for activities. Members are also connected to the global network of Roots & Shoots groups: groups from around the world post messages and stories about their own projects, which can help spark ideas for your own group and lead to greater global awareness about issues facing communities on the other side of the world. Furthermore, Roots & Shoots also includes national campaigns (complete with fact sheets and tools to help you get involved) that align with the school year. Planet Releaf is the Roots & Shoots Canada 2010 national forest campaign, which will run through to June 2011. Using the Roots & Shoots program in the classroom for younger students can be just as easy as registering an extra-curricular club in high schools. 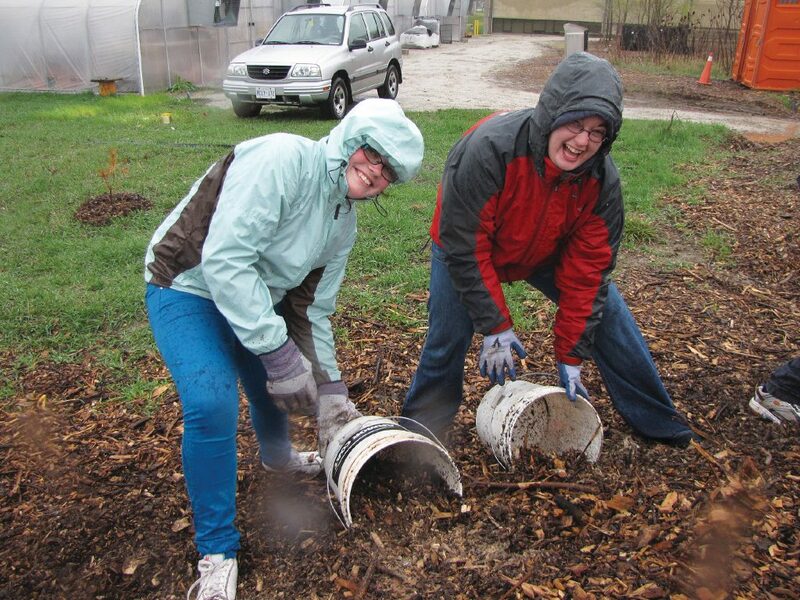 Students can help plant school gardens or visit local farms to learn about land stewardship, hold fundraisers to support community programs, and learn about wildlife and environmental conservation. The experience of participating in a Roots & Shoots group can be positively transformational for the students. JGI recognizes how strongly students relate to Dr. Goodall as a role model. To commemorate Jane’s 50 year anniversary since beginning her research in Africa, Roots & Shoots is running a contest to have groups meet her. Dr. Goodall is also on the road for approximately 300 days of the year, giving lectures. These lectures provide an excellent learning opportunity for all students. As with any new project, club, or approach to curriculum, extra time and effort may be needed to put all the pieces in place, but it is well worth it. Allison Forsythe comes from a family full of teachers and is currently a freelance writer in Ottawa. She lives with her husband and their two cats, all of whom support her passion for writing and environmental conservation.